Mr. Roaster is a commercial corn roaster with a heavy duty stand, Only $2,699.00. Mr. Roaster is the perfect way to Fire Roast Corn on The Cob "without" spending a fortune on an expensive commercial corn roaster. Mr. Roaster can Fire Roast about 35 to 45 ears of corn in about 45 minutes just like the "Big Boys". Commercial corn roasters can cost from $8,500.00 to $25,000.00 and that fact simply puts the "little man" out of the Fire Roasted Corn business. Now Mr. Roaster puts the "little man" in business offering perfectly Fire Roasted Corn anywhere... anytime... and enables you to cash in on the high percentage profits too! In the beginning we bought an expensive corn roaster and got into the business. We wanted to expand, but did not want to pay thousands for each additional corn roaster. Mr. Roaster was born. Mr. Roaster was designed and manufactured with the "little man" in mind. It will not take two or three years to make your investment back as it would with one of the fancy, shmancy expensive corn roasters. Mr. Roaster could make your investment back in one good festival or fair. That's right, one good festival or fair could put your investment back in your pocket and put a profit in your pocket too! Mr. Roaster is manufactured for easy hauling in the back of a pick-up truck. With very little effort, Mr. Roaster can easily be mounted onto a utility trailer or onto your existing trailer if you prefer to tow Mr. Roaster behind your vehicle. The dimensions are as follow: weight 180 lbs., height 50", width 39", depth 23", and the handle extends out 14" from roaster. Mr. Roaster has no chains to oil, requires no electricity, and is as easy to operate as 1,2, 3. Simply fill Mr. Roaster with corn, light the burner, and rotate the corn every 7 minutes. The flame never touches the corn. Mr. Roaster can produce enough volume to allow you to serve one roasted ear of corn every 2 minutes of every hour, all day long, when you start roasting your corn two and a half hours before the festival begins. Fire roast a batch and place it inside an igloo cooler and the corn will stay hot and fresh for several hours. Fire roast another batch and place them in the cooler too. Now as you sell the corn you can replace it every 45 minutes with another batch in order to keep up with demand. At $3.00 or $4.00 an ear your first day, you do the math! 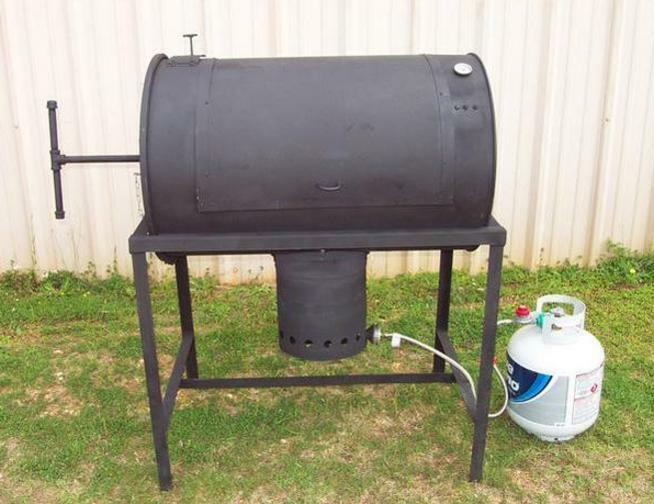 Why would you pay thousands of dollars for a fancy corn roaster? That's It! Perfectly Fire Roasted Corn on the Cob in 45 minutes "Every Time". Also, Mr. Roaster will roast potatoes, sweet potatoes, turkey legs, and more. We fire roast a batch of corn in "Each and Every" MrRoaster "Before" we sell it to insure quality! Now you can Fire Roast delicious Corn on The Cob perfectly every time with no experience required! The flame never touches the corn! Mr. Roaster is an affordable Corn Roaster that we designed and manufactured so you can get in the Corn Roasting business, get your investment back and put a "Profit" in your pocket after "your first" good festival or fair. Mr. Roaster is a money maker!